Frauen aufgepasst: Der Ion Envee Trockenanzug 2015 ist wahrscheinlich wärmste Trockenanzug am Markt und reine Frauensache!!! Jetzt bei uns im Shop! The Ion Envee 2015: Must have!! for all you women who don’t wanna miss the great days on the water in winter time! You want to finish the session because you are happy and leave the water with a smile on your face and not because you are freezing you’re a** off!!! Warmest women-tailored drysuit on the market invented by ION – all seams are glued blind-stitched with extra seam tape, manufactured according to diving technology standards (each suit must pass the ION Waterproof Test). 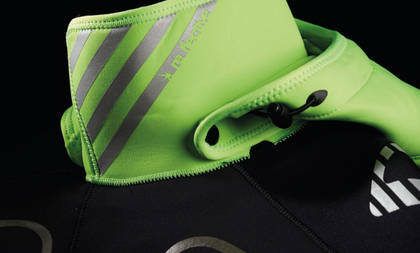 Storm_Whistle, reflective prints (Re_Flective), Detachable_Hood, a Chest Pocket and a beautiful design for the probably warmest and safest suit you have ever worn – no more freezing on the water! 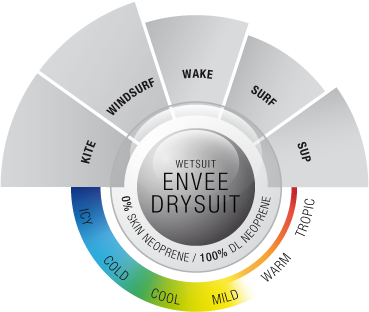 Visual safety for FUSE and ENVEE drysuits: Being out on the water in cold wintertime can be seriously dangerous especially because it is getting dark much earlier. In case of an emergency you now can rely on additional reflective prints on the shoulder / hood area, which makes it much more easy to be found by SAR crew searchlights. NEW!